In the United States, depression is considered the second leading killer after heart conditions. It has become a very prevalent mental problem and is affecting many people in the society. Clinical depression is associated with changes in moods. Moods are linked with how an individual feels and therefore how they act. It is linked with feelings of sadness which is then accompanied by the lack of interest in activities that an individual once enjoyed. Clinical depression is very disruptive to emotional and psychological well-being. One of the risks is the disruption of functionality where people suffering from the condition become unable to function at work and also at home. In most cases, severe depression results in suicidal thoughts. There are several risk factors associated with depression they include biochemistry aspect associated with chemical balances within the brain. Sometimes neurotransmitters within the brain become inefficient because of an imbalance in certain chemicals in the brain. Another risk factor is genetic. Sometimes depression runs in the family and is therefore passed on from parent to offspring. The personality of a person can also be a great source of depression. People with little confidence and low self-esteem are usually at higher risk of suffering from depression. The last risk factor is associated with the environment where an individual lives. Environmental factors include contact with abuse, violence, poverty which may cause high-stress levels. Depression causes major negative implications in the life of the individual suffering from it. One major factor is the reduction in functionality. People with depression, therefore, suffer from great challenges in their life and without any intervention, they continue to suffer and live in oblivion. This paper will explore the trials confronted by people suffering from depression. It will explore two articles in terms of how they relate to the topic. This is the first article and focuses on the causes of depression. For many years scientists, have associated depression with chemical imbalances. This is a diagnosis that has been widely accepted, and most research and development in the field has focused on the development of drugs that create a more chemical balance in the brain for the treatment of depression. However, drugs have not been the most effective treatment for mental conditions. The conditions still prevail in the society as a great social problem. The development of drugs such as Paxil and Prozac have been tremendous in the fight against depression. They have become very popular with many claiming to have had great results. These drugs have the effect of adding up serotonin and other neurotransmitters in the body (Marano, 1999). These neurotransmitters increase the efficiency of transfer of signals between nerve cells and therefore increase brain functions and reduce the effects of depression. However, this is a definition of depression that has not been very successful in the full treatment and control of the condition in the society. Depression cannot be only limited to chemical imbalances. Drug companies have, however, used this definition to increase demands for these drugs and thus make profits, but people are still suffering in the society. Such a limited definition has made depression a condition very difficult to treat and people find themselves in the oblivion of their mind where they have no way of escape. Depression is far from the simple definition of chemical imbalance. New research shows that it is also a factor of neurode3generative disorder that leads to the disruption of the functions as well as the function of the cells of the brain. This is, therefore, a physical process causing the wearing down of the brain cells. The disorder sometimes kills brain cells and destroys nerve connections. Environmental factors of high-stress levels also lead to depression. The article is, therefore, clear in that depression is more than just a chemical imbalance (Marano, 1999). This article explores the relationship between celebrity statuses with mental illness. Depression is a mental illness that affects any person in the society. However, most celebrities and high profile figures, especially in the American society, have suffered great depression episodes. There is also a growing trend of suicides among celebrities. Recent cases of Robin Williams and Chester Bennington have hit the society hard as to why such successful people kill themselves. History shows that many public figures in all fields of the society such as political and the entertainment industry have suffered from depression. A good example is Abraham Lincoln. He is considered as one of the greatest presidents of the United States. However, his success was met by very many challenges (Celebrity Meltdown, 1999). He was an individual that suffered from depression all throughout his life. He was also very suicidal, and at one point in his life, many of his friends saw that he would ultimately end his life. Many people have tried to assess some of the causes of his high level of melancholy. Another public figure is Marilyn Monroe. She was an iconic actress but is considered to have suffered from great levels of depression in her life. Her career was great but only lasted for a very short time. She spent most of her time in the care of a psychiatrist and was a person that was highly prone to drugs and alcohol she died after taking an overdose. The list of celebrities that have suffered from depression is very long. Some of them were very popular and great in their activities, but the feelings of sadness overwhelmed them. In the past, issues of mental illness associated with depression were mostly kept hidden but in currently people especially celebrities have learned of the benefits associated with coming out as people who have suffered from the condition. It is beneficial to them and most of all to the society. This is a condition that requires a lot of intervention (Celebrity Meltdown, 1999). Living with depression is a very difficult task. There is a great misconception in the society that depression is not a serious condition. However, it is a mental condition as serious as diabetes or even cancer. It is a condition that leads to great disruption in functionality. One aspect is a high level of sadness that results in the reduction of motivation to take part in activities. People suffering from depression feel worthless and like to spend their time secluded and away from the society. The lack of motivation greatly affects their ability to perform well at their workplace. This reflects greatly on their performance and ultimately leads to conflicts with employers. In some cases, people with depression lose their jobs. A good example is when Marilyn Monroe was affected by depression. She started abusing drugs and taking too much alcohol. This ultimately affected her acting career where she got dropped out of many movies she was expected to play in. The reduction in functionality also leads to poor health. Depressed people have little motivation to cook or even clean. There are, therefore, at great risk of suffering from malnutrition. Drug addiction and alcoholism are also the negative implications associated with depression. They are usually trapped in the oblivion of their minds and drugs seem to offer them a quick release where they feel comfortable. However, drug addictions lead to even more problems. In most cases, the expression is usually left untreated and thus grows more severe with time. The worst case scenarios are associated with the thoughts of suicide. Most people who suffer from depression have great feelings of limited worthiness. They feel that they have no place in the world and therefore end up suicidal. Chester Bennington, Robin Williams, and Marilyn Monroe are great examples of celebrities who suffered from depression and ultimately ended up dead by their own hands (Celebrity Meltdown, 1999). The two articles explore two different aspects of depression. The first is associated with how celebrities are prone to depression. 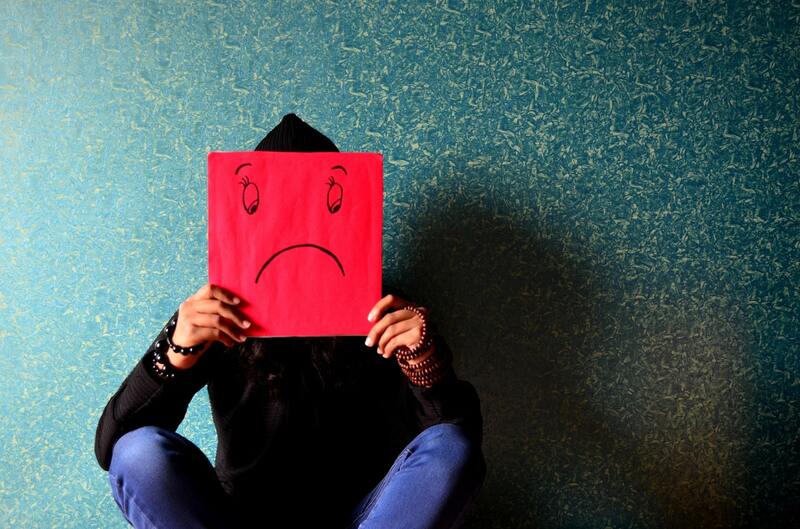 The second article explores how depression is improperly defined as a condition only about chemical imbalances in the body. The fundamental aspects of the two articles are how depression is a great problem in the society. The risk factors of the mental conditions are widespread. Depression is a condition that can affect anyone in the society. It is very serious diseases, and people should not overlook it. There needs to be high awareness of the existence of the condition in the society. More efforts need to be placed on the need to come out and allow people to help out with the condition. This is because many people keep the issue to themselves and it ends up becoming more severe.